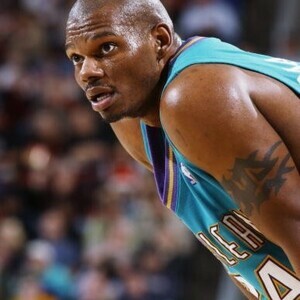 How much is Jamal Mashburn Worth? Jamal Mashburn Net Worth: Jamal Mashburn is an American retired professional basketball player who has a net worth of $45 million. 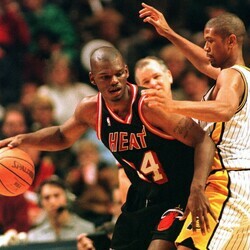 Jamal Mashburn was born November 29, 1972 in New York City, New York. As a small forward, Mashburn was a high scorer in his 12 seasons in the league, with a career scoring average of 19.1 points per game. The former college and NBA All Star spent a total of over 20 years with the Kentucky Wildcats, Dallas Mavericks, Miami Heat and New Orleans Hornets. Before his basketball career, Mashburn used his natural knack for teambuilding in the business world and assembled a team of savvy professionals specializing in administration, finance, project management, insurance and advertising. This team quickly developed an ownership model that resulted in an impressive business portfolio. To date, Mashburn the entrepreneur has ownership interest in numerous restaurant franchises (38 Outback Steakhouse restaurants, 32 Papa John's pizza restaurants and three Dunkin Donuts stores), car dealerships (owner of Kentucky's Toyota on Nicholasville and Lexus Store of Lexington), holdings in real estate and stakes in the thoroughbred horse racing industry. In his spare time. Mashburn even served as an ESPN on-air NBA analyst (2006-2010). In 1993, before he ever signed his first professional basketball contract, he donated $500,000 to establish and endow the Mashburn Scholarship Fund at the University of Kentucky. The scholarship identifies ninth grade students in the Lexington, Kentucky area, tracks them through high school then awards them a full scholarship to attend the University of Kentucky or Bluegrass Community and Technical College if they achieve their academic and personal goals. He is also a founding member, officer and director of The MAP Foundation and Mashburn Family Foundation—both nonprofits. Mashburn currently sits on the Board of Directors for the National Forest Foundation and has served on the Advisory Board for Central Bank & Trust Company in Lexington, KY from 2005-2008. Mashburn has taken full advantage of the opportunities afforded to him and now encourages and inspires others to embrace his team-first attitude.